After years of planning, Purbird opened it’s doors in August of 2011. The idea was to provide consistently delicious, healthy fare. A top quality Chicken based menu, which included healthy salads, and sides that could be prepared to order at a reasonable price. We wanted to create a casual friendly atmosphere where people of all ages could feel good about what they’re eating, not only once but even several times a week. Five years later, pūrbird has become a go to for families and people of all ages. With that in mind we are proud to announce the opening of our new location in Carroll Gardens. 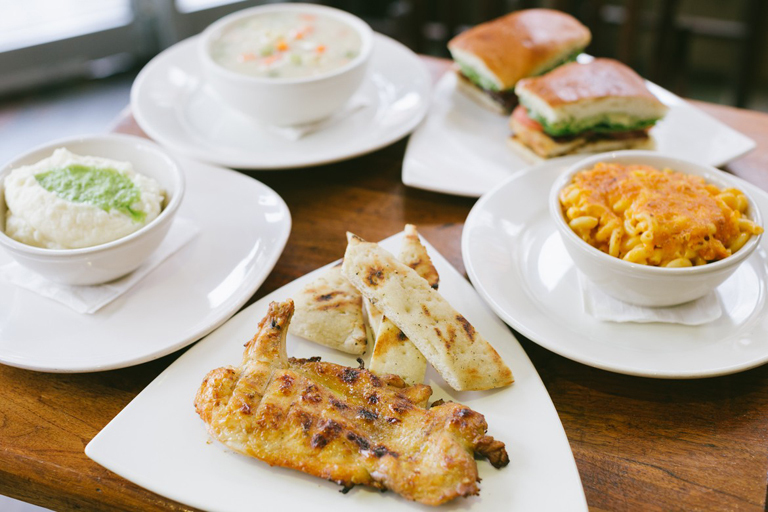 Come try chicken that you’ll crave……. make pūrbird your bird! Their chicken is the BEST. It's a small shop, located on the corner of St. Marks Ave and 6ave, in Park Slope. I came here with a friend because we heard they make chicken pot pie and other chicken dishes, and we absolutely had to try. First time I came here I had the chicken soup and the jalapeño Mac and cheese. Happiness in my mouth. It was a rainy day, I had a could and I couldn't have made a better choice. The service was fast and the staff was attentive and answered my unnecessarily high amount of questions. Website Design and Development by RevSystems, Inc.